Tokyo City Hall (Tokyo Metropolitan Government Building) is an impressive high-rise building (height 243 meter) within the Shinjuku district. The place is especially popular for tourists looking for an free observation deck with great views over Tokyo, Tokyo Skytree, Tokyo Tower, Mt. 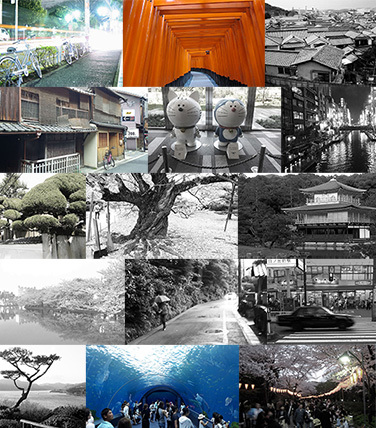 Fuji, Yoyogi, Meiji-jingu and many more. The panoramic observatories, which are located 202 meters above the ground, can be found in the 2 towers (45th floor) on top of the main building. 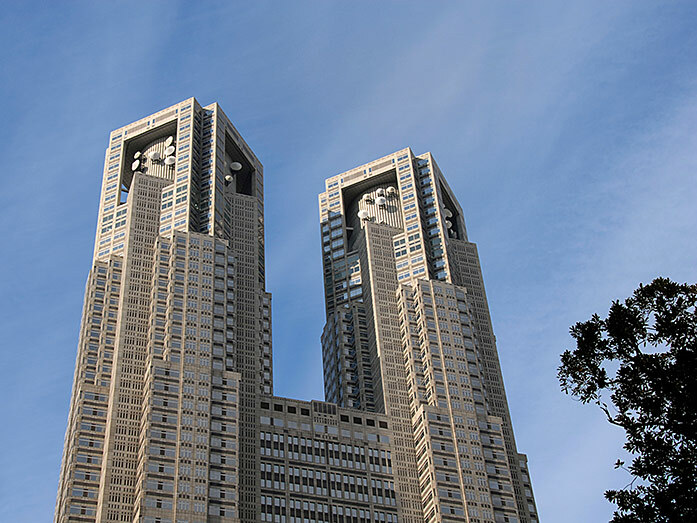 Tokyo Metropolitan Government Building (Tocho) was designed by Kenzo Tange and finished after 2 years in 1990 (costs appr. 1 billion US Dollar). The high-rise building was the tallest in Tokyo till 2007. Tokyo City Hall is located within Shinjuku (ward) in Tokyo. 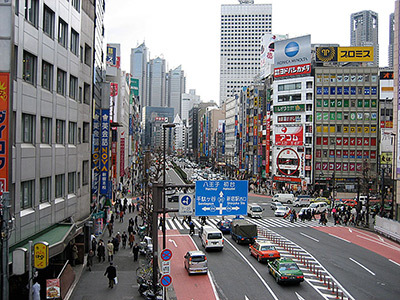 How to get to Tokyo City Hall? 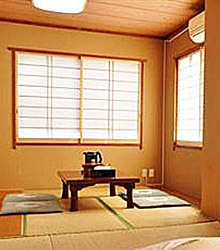 Traditional dances from Okinawa are performed by 23 Eisa dance groups. Mikoshi (portable shrines) are carried through the streets of Shinjuku. 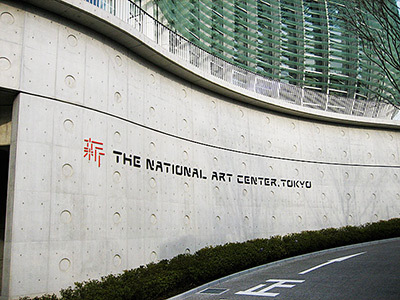 is a great exhibition place with a spectacular architecture. district is my favorite part of Tokyo. 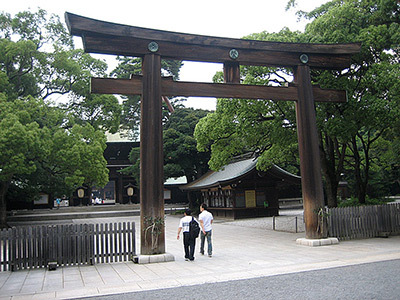 was created to honor Emporer Meiji and his wife. "Where is the best place to enjoy a spectacular sunset in Tokyo? 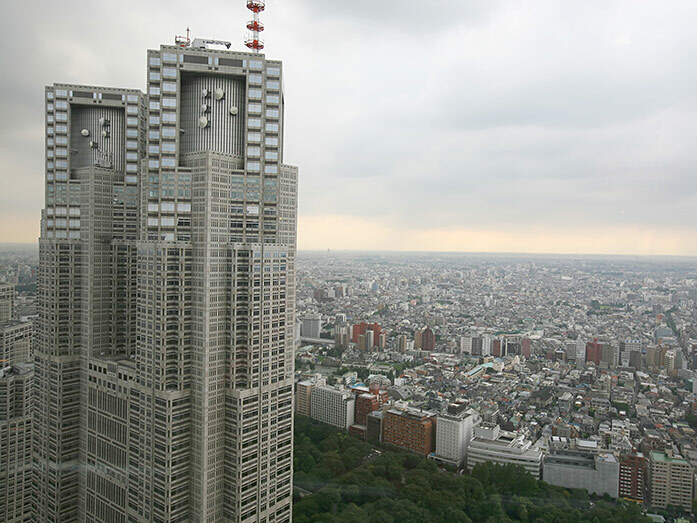 Go to the observation deck (45th floor) of the North Tower of Tokyo City Hall."